There are many different factors that play a role in how we live with children in our shared space and they are all very important. But one factor has been recognized as so important that it has claimed the title “teacher”: The Environment. Calm, stimulating environments that raise curiosity and engage children individually and collectively can be so rich that you could feel you have an extra educator in your room. How do children play with material? How do they engage with light, shadow, nature? How do different invitations engage children in conversations and research? Once we observe children carefully and study their interactions with care, we can start to imagine ways to provoke their thoughts through material, light, nature and more. When children are engaged with rich surroundings, educators can spend time with individual or small group of children, building relationships, cultivating conversations and facilitating learning. 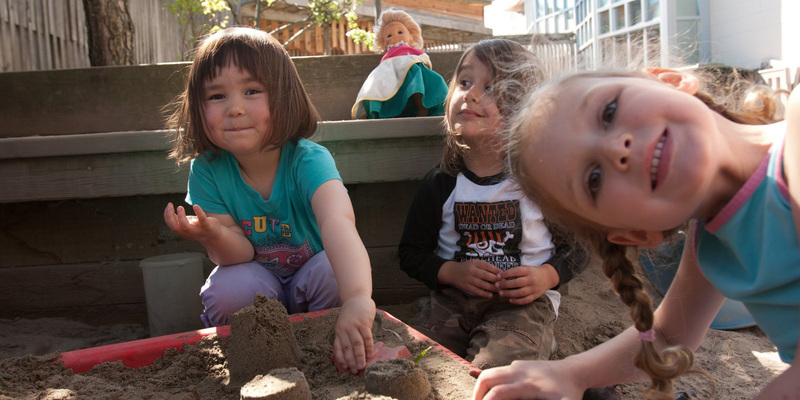 If you are interested to see a live example of how children and educators engage in meaningful environments, take a tour of our centres during the day while programs are in session. Click here for info on our next session, November 16th.